Dr Jayant P Vishe from Kalyan, Other Graduate. 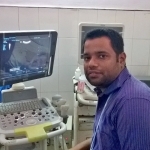 GENERAL PHYSICIAN MATERNAL AND CHILD H.. PUBIC HEALTH EXPERIE..
are one of expert skill area's of Dr Jayant P Vishe . Dr Jayant P Vishe is working in Doctors/Nurses/Medical Professional industry.